One of the most pervasive unrealistic messages propagated by our culture about love is that it should be easy. Brainwashed by Hollywood and Disney, we expect to fall into the arms of our beloved upon first sight and remain there, blissfully happy, for all the days of our lives. We expect to fit into each other’s back pockets, to read each other’s minds, to function like two peas in a pod. While some couples may enjoy a honeymoon stage where love does feel easy and effortless, inevitably this stage ends and the real work of learning how to love begins. What if, instead of expecting love to be easy, we expected it to be difficult? What a paradigm shift that would be, and how it would change everything! What if, instead of falling into the rabbit hole of doubt when fear erects its barrier in all of its manifestations – through irritation, tension, judgement, nit-picking, criticism, intrusive thoughts, doubt, anxiety, lack of attraction – we learned to embrace the fear, to name it for what it is, and to, in fact, expect it. It is also good to love: because love is difficult. For one human being to love another human being: that is perhaps the most difficult task that has been entrusted to us, the ultimate task, the final test and proof, the work for which all other work is merely preparation. That is why young people, who are beginners in everything, are not yet capable of love: it is something they must learn. With their whole being, with all their forces, gathered around their solitary, anxious, upward-beating heart, they must learn to love. But learning-time is always a long, secluded time, and therefore loving, for a long time ahead and far on into life, is: solitude, a heightened and deepened kind of aloneness for the person who loves. Of course, this is true for all people, not just young people. By “young people” I think he means those who are just learning the skills of intimate relationship, and that transcends age. He means young at love, inexperienced at how to truly love another in action. Many people say it takes about ten years of marriage to get to know your partner. I wholeheartedly agree. If we expect love relationships to include an element of awkwardness, when ease arrives on the wings of grace or hard work, we would embrace it as a blessing. We wouldn’t expect ease, though. We would expect, instead, to allow many years to learn the language of loving another and allowing ourselves to be loved. We would be taught this from the onset. We would enter a new relationship or a marriage with the expectation of awkwardness, or irritation, or however separateness manifests for you. This distance, I believe, is our humanness. We can and must call it fear, at times. At other times we call it our stories of early pain that protect the vulnerability of the heart from being hurt again. And, at still other times, we name it as simply the human experience. Our separateness is, in fact, what defines being human. No matter how close we come to another, we will never share a body. We will never know what it’s like to live truly in another’s skin. So when we awkwardly hug or kiss or sit across the table at one another and the “infinite distance” makes itself known, we can come to expect and even appreciate it. Then, instead of expecting ease, we recognize that every moment of ease is a blessing. 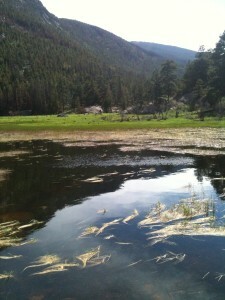 We move toward appreciating the ease as the byproduct of hard work and a, perhaps, a dose of grace. In accepting the awkwardness, we invite the ease. From there, we can take loving actions toward closing the gap. It begins with acceptance, yes, and an understanding that when we commit to a lifetime with someone we’re committing to learning about how to shrink the space between us. But how? 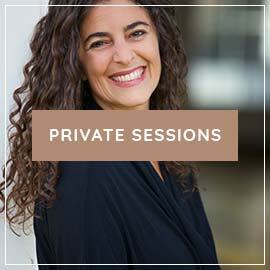 It’s through understanding the Love Laws and Loving Actions that define intimate relationships that we can move close to one another – to harness the fear and learn to soften into vulnerability. When we understand the roadmap, we understand the tasks. Then it’s a matter of gentle and committed practice, every day, to learn about what it means to love and be loved. If you would like to learn these Love Laws and Loving Actions, please join me for my next round of Open Your Heart: A 30-day program to feel more love and attraction for your partner. The program will begin on Saturday, October 24th , 2015. 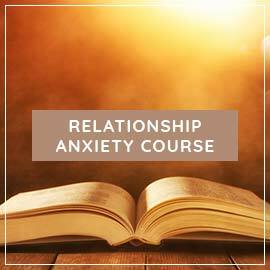 And if you’d like to learn more about the difference between my new e-course, Break Free From Relationship Anxiety, which will be released next week, and Open Your Heart, please click here. Fear is, indeed, so sneaky! I’m constantly learning new ways that it appears and seduces us to believe it as truth. You say fear is sneaky and I think I totally understand this. I have been having a horrible awkwardness wedge between me and my boyf because of relationship anxiety. It has been very scary to not ‘feel’ the love I once had for him and the ‘knowing’ body in my bone which I used to have a lot. But since I have joined your e-course Sheryl I have seen a massive shift. I am feeling so much happier and even at times ‘buzzing’ to understand real love. And I have come to realise that actually, your views on real love- I have had these views for years. I used to voice my opinions about real love before I was in a relationship because I would get confused and curious as to why people ended relationships over silly reasons like ‘I just fell out of love’. I used to say to people ‘I don’t understand how someone can be so happy and in love and then just ‘fall out of love suddenly. There must be something wrong or going on with them!’ But I always used to be shot down and be told that I was naive and silly for thinking that way. And I used to say that if there are problems in a relationship surely you can get through them if both people were willing to work on it. And still, I would get looked at funny. Then I met my partner, and I thought it was a dream come true. Then my anxiety started.and I now realise it’s because of all the people who have put down my views and then I started to believe them. Which then caused my anxiety. Sorry for rambling but my main point is. You say fear is sneaky. But this weekend it has been a breath of fresh air since starting your e-course and visiting your forum. I had been feeling less anxious and worried. Not exactly really in love yet but still happier and I know I can get there. Me and my boyf are moving in together next weekend, and I have been so excited and not scared! But I had a thought last night. And it was ‘just because you are happy with someone it doesn’t mean you should marry them or have kids’. I didn’t panic. I just saw it as a thought. And I realised it was my fear. It was trying to stop me from loving my boyfriend. Funny how I started to become so happy again and then it tried taking it all away again. And thanks to your work I have been able to notice it and address it. Once again, thank you for your work. I will continue to dive into this course. If it wasn’t for you I would of ran a mile a long time ago. Thanks to your work I will now marry my partner without thinking about leaving. Thank you, Bernadette. It does take two to tango, and what a tango it can be! Yet another perfectly worded and on point post. I’ve been happily married for almost four years and it’s because I’ve learned the true meaning of love from here. It’s always a true joy to hear from you, ScottishBride. I don’t find your articles co-incidental anymore, they just make me smile now, almost as if we are all interconnected in this universe :). As I sit next to my significant other I still struggle with the anxiety and the questions most of the time and it’s ok because I am not fully comfortable with myself :). I think from time to time, what if he was the more socially outgoing, or more in charge type, how would that work? But then I remember the grass is greener and I turn those questions on myself. Maybe I need to be more socially outgoing and more in charge? Perhaps, the fact is these things would change if I were with someone else and I would say, I wish he was quieter and didn’t want to go out so much, or I wish he would let me make the decisions more….simply. It all ebbs and flows and I have moments where I love him so completely, moments that the way he eats makes my skin crawl, and moments like the other day. He told me “I feel disconnected from you,” and I explained this wasn’t the first time for that, and he remembered. It will never be consistent with anyone and even if it seems that way at first, that is always temporary. And the idea that relationships are supposed to be uncomfortable is beautiful and open up space to be human and akward. Life is just uncomfortable in general, some days I feel more pain, some days it is less and on those days I smile more. No one really knows what they are doing and that is the cool thing, we are all learning together. I’m really struggling with the fear of God taking my girlfriend away from me? Is this possible? Can He take her away from me? I used to have this same type of fear (i.e.if I marry this person, God will not bless the relationship). 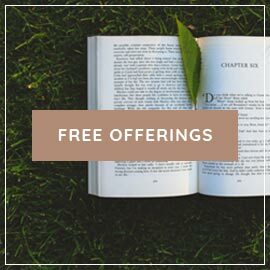 Something I learned from reading through Sheryl’s work and through therapy is the reminder that God gives us free will and grace to make the best decisions for our lives. I grew up with parents and In a church that taught that life/sin/God’s judgment is very black and white. One of the hardest things for me to accept was the realization that I did not think in that way.But this took me really getting in touch with how I perceive God and how I was raised to believe I should perceive God. Is he some distant being that will impose his will on me that will lead me in a direction I don’t want to go or does he give us guidelines for life through religious text, prayer and meditation along with free will to equipt us to make loving decisions for our lives. I really believe it’s the second. Once I finally got in check that God wasn’t going to end my relationship, I was really able to look at my fear for what it is which were the questions—- will I allow myself to be happy in my relationship? Will I end my relationship? Can I accept my partner for all that he is? And can I accept myself for the person I’m becoming (more open and vulnerable). Hopefully that helped some! Thank you, that means a lot. Can I email you? Sheryl you have been a blessing to me. I am in my first series relatioship with an amazing guy. I have had fear and relationship anxiety since day 1. Thank you for you insight on love, fear and anxoety. I still have my moments but I am learning to combat fear. I’m so glad my work has been helpful, Natasha. Once again, impeccable timing!! I had just been lying in bed feeling sorry for myself, that things were just not ‘easy’, since both my SO and I suffer from relationship anxiety, and sometimes it can feel like we’ve only crossed over one mountain to be faced with another. All the ‘usual’ thoughts were going through my head: ‘this isn’t fair’, ‘it should be easier’, ‘I should find someone else with whom it wouldn’t hurt as much.’ But the thing that I have learned through these amazing blog articles is that pain is an intrinsic part of living and being human. Trading in my partner for another, ‘easier’ model of a relationship would be futile because that ‘easier’ doesn’t exist! I would just be trading in one set of difficulties for another and still have to do all the same work on myself of learning to open my heart, trust and do those ‘loving actions’ even when I don’t feel like it. It’s ironic that what makes my partner anxious in the first place – being highly sensitive, sweet and deep – is what attracted me to him in the first place! And he has demonstrated such love by ‘doing the work’ on himself, discovering his core fears and moving into greater awareness so that our relationship can grow and and our love can deepen. I don’t know how many other people would have the courage to face up to their inner-world like he does! I came downstairs last night and found this. It gave me the sense of peace and calm I needed to go back up for a good nights’ sleep :-). Hi Sheryl! 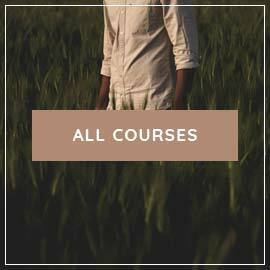 I wasn’t sure where to ask this but I was wondering if there were any discounts for the 30 day program if you’ve already taken the conscious weddings course? I know there is for break free which I also plan on taking! Thanks so much! Thank you for writing about awkwardness as another manifestation of fear. I can certainly relate to this! I have noticed that my relationship anxiety turns up as all sorts of things, and when I ‘resolve’ one story another offshoot appears – often distress around the inevitable awkwardness of relationship. 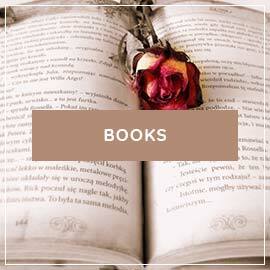 As different, creative, and compelling as these stories can be, underneath them all is the same stuff. It’s so easy to get caught up in the rumination and stories, but they really are just distractions from the real source of pain AND healing: the deeper feelings of fear itself. So that is the place I must go. At least this is what I’ve noticed in my experience :). You’ve beautifully articulated what’s at the heart of breaking free of intrusive thoughts and healing from the inside out. Do you think sometimes fear can manifest by not even feeling the fear? Like being irritated, or always watching out for your safety? You dont actually feel like if you would feel scared or in a state of fear but its still there? So sneaky that you can’t feel it but its there in layers and layers and in manifestations of various things? even when you dont feel it. Check out this wonderful article from Sheryl! http://www.mindbodygreen.com/0-21222/38-hard-truths-about-relationships.html It talks about that same exact thing about the irritation. It is something k deal with on a daily basis with my love especially when I’m extremely anxious. She gets very giddy and can act childish which can either be the cutest thing or can drive me through the rough. Hope this helps. Thank you, Angela. You are a very special, too ;). It’s like you took some inner knowing that has been developing in me over the course of so much time, work, introspection, grief, joy… and put it into a beautiful crystallization of wisdom. A relatively short article that sums up so much of my own felt and lived knowing and experience. I can’t tell you how cool it is to see something I’ve felt so deeply reflected back to me from the outside world. Thank you for your continued work, for sharing your wisdom and light with us. You are a beacon of hope, a true helper and healer, and an “elder” (not in age, but in wisdom) to many who don’t have the benefit of elders in their physical community. I thank the universe for the advent of technology that brought me to your wisdom, and of course, for your courage in sharing your knowledge and experiences with us. It truly is a gift you are giving, and it reverberates across the world as we go forth and share that wisdom with others in our own lives. Thank you so much. I’m humbled, honored, and deeply grateful to be in the position of elder, and your words have landed in a very special place in me. Thanks for your advice but sometimes when I try to spoke my needs for things that I want to do she’s easily get upset. And I have this problem that I keep thinking ahead which frustrates me. I keep feeling that I don’t want to see her or talk to her. Is it because we’re seeing and talking to each other everyday? It really bothrrd me to the extent that I’m questioning whether I’m leading her on and she’s not the one I really wanted. Thank you Sheryl. Because I have had the blessing of finding your work and doing the ecourse, the panic I used to feel when there is awkwardness or distance in my relationship has shrunk. There’s still a part of me that wants to reach out if he pulls away or pull back from him quite often but that’s OK. If I had abandoned this relationship because I didn’t want to go through loving and being with someone when it felt awkward, messy, irritating, too much, I would have walked away from the strongest sense of partnership, love, care, respect, intimacy and sexual connection I have ever experienced. I have been in a similar situation to yours for few years -anxiety coming and going, my partner has been very understanding. I’ve had very bad anxious days and he seems to notice a pattern. I tend to talk less and just read more try to get myself busy, or do something together to distract myself like watch a movie with him. Its great that your partner understands, but its good to give yourself and him a break from anxiety if you can like sometimes trying/pretending to be in a good mood, it worksfor me when i try to be positive for few hours in an anxious day, i hope this helps.